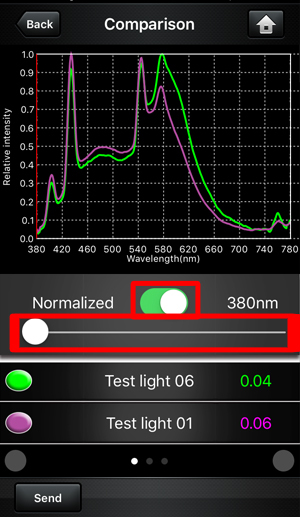 ' Mobile App Manual - National Photonic Ltd.
◆ Report choose: Tap “Record(s) to see the report you want to send. 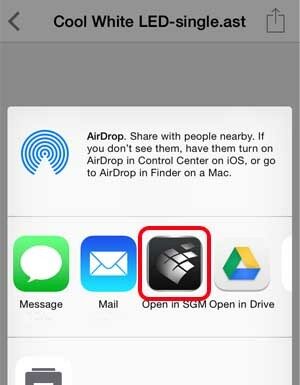 ◆ Tap “Send” to open share list. 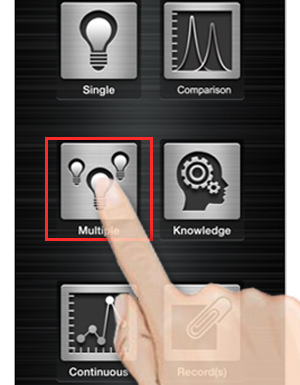 ◆ Choose “multiple” pictures and Tap “Others”button. 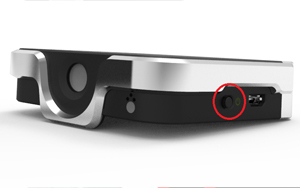 ◆ The power button is on the left side of the dongle. 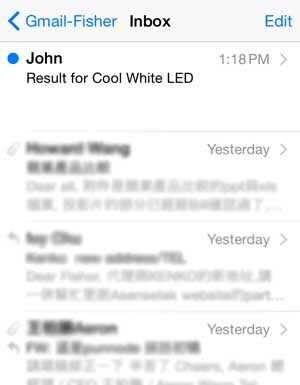 ◆ Please make sure the blue light on the back is on. 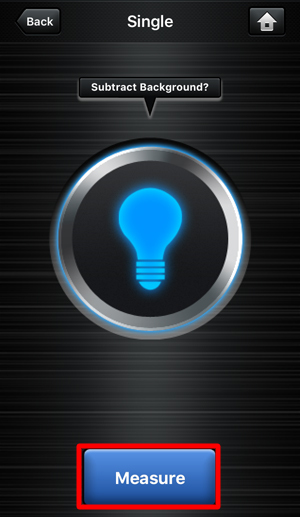 ◆ Tap the icon to implement APP. 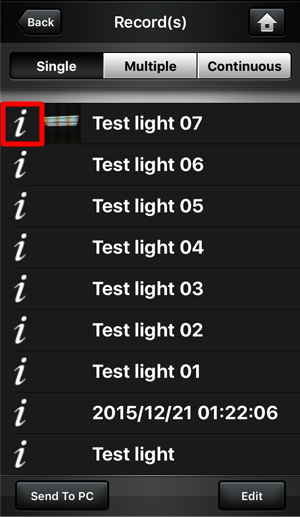 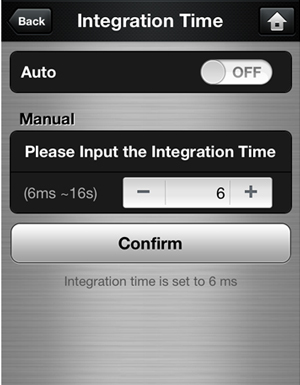 ② Integration Time: Set-up automatically or manually. 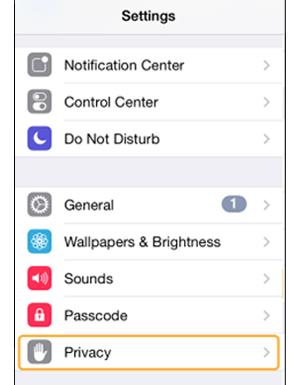 ③ PC Setting: Wifi transfer IP settings. 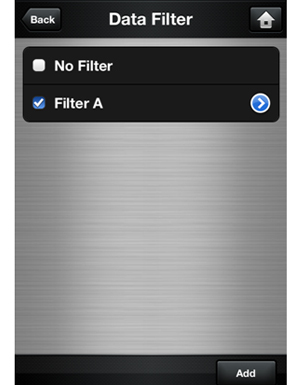 ⑥ Capture Images: Check if you want to save pictures for email to others. 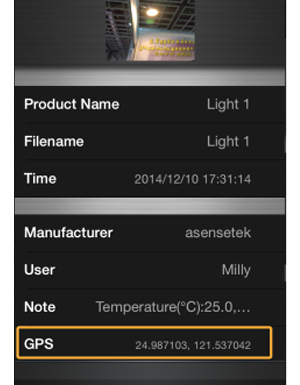 ⑦ GPS Setting: Turn on / off the GPS display. 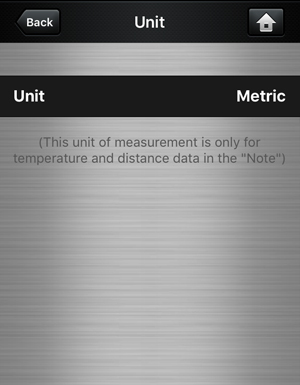 ⑩ Unit: Switch to metric or imperial. 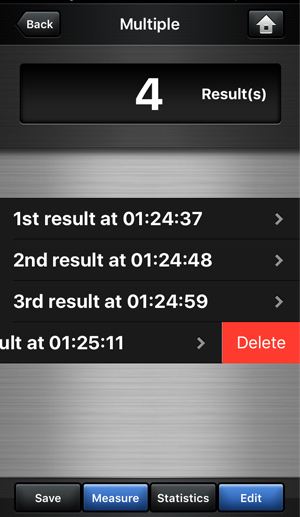 ⑪ Clean Device Cache: Clear cache data. 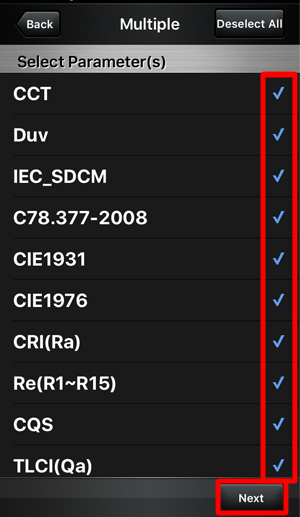 ◆ Choose the device you want to connect or rescan. 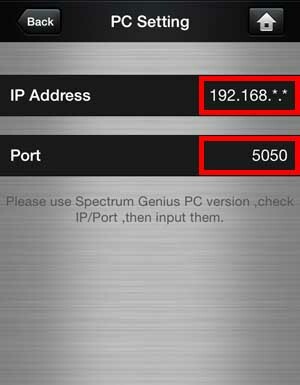 ◆ If you want to transfer the measurement data to Spectrum Genius PC software by Wifi; you can fill IP and PORT here, then tap "Send To PC" to transfer the data. 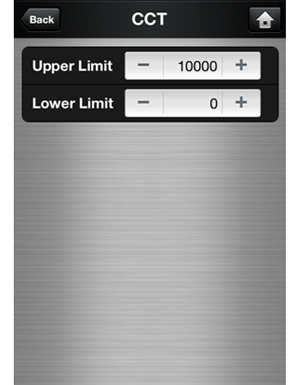 ◆ You can add/delete new filters, choose the items you want to filter and make the upper/lower limit. 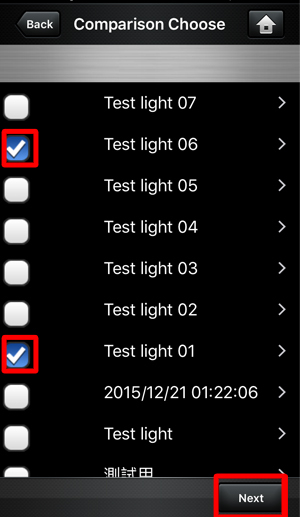 ◆ You can set user (tester) and manufacturer (of the luminaire) in this page. 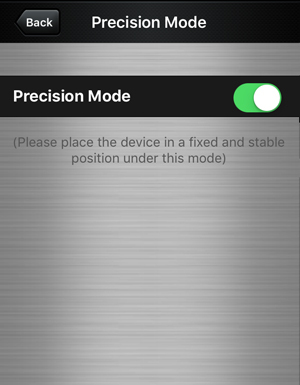 And it will be the default after you make it. 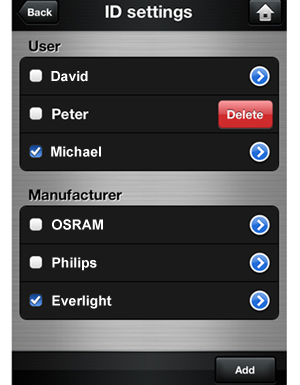 ◆ You can also add and delete item by yourself. 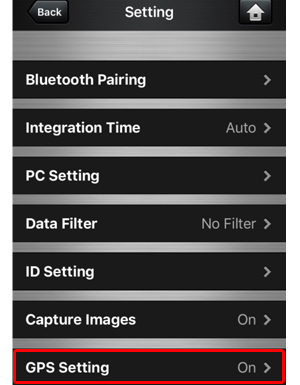 ◆ You can turn on / off the function of capture images and set-up the image size in this page. 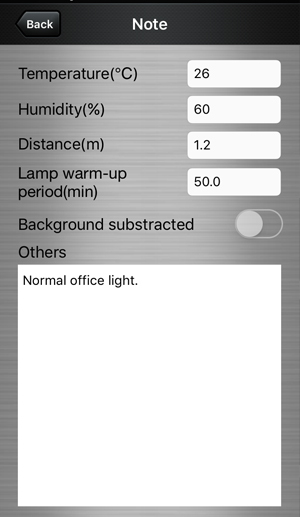 ◆ The default setting is "ON", your measurement save page will show the testing location. 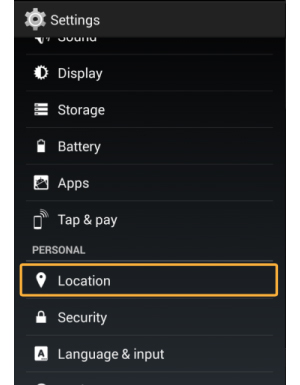 ◆ You can tap the GPS location to open the MAP. 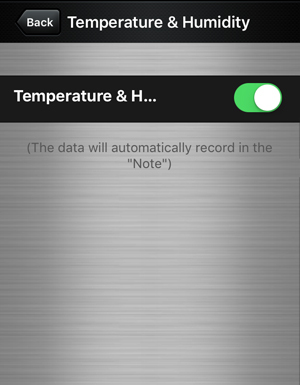 ◆ You can change the unit of temperature and distance data in the “Note” in this page. 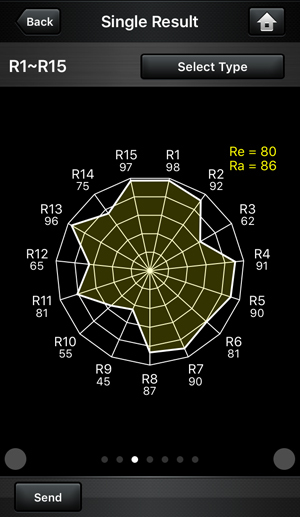 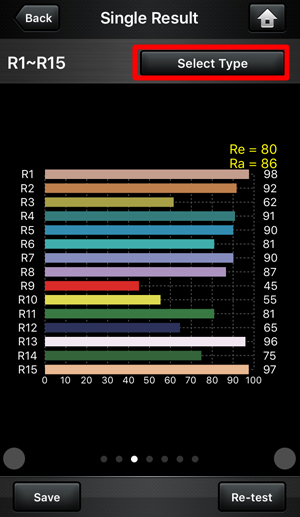 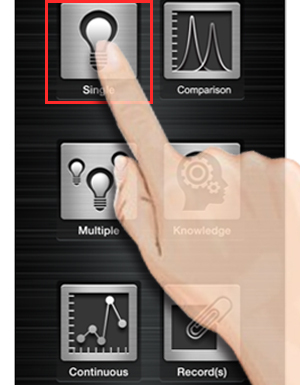 ◆ n R1-R15, you can select the Histogram Chart or Radar Chart to show the R1-R15. 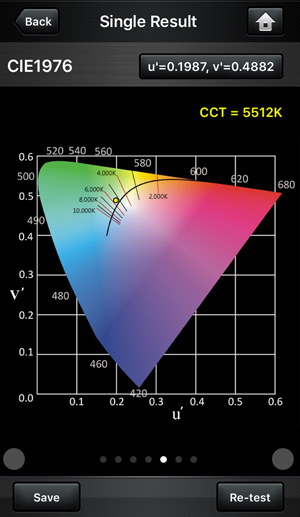 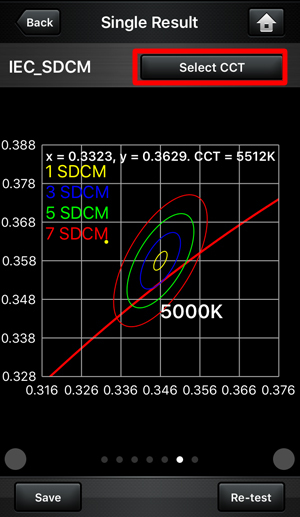 ◆ In IEC-SDCM and C78.377-2008, you have to select the proper CCT zone to show the right image. 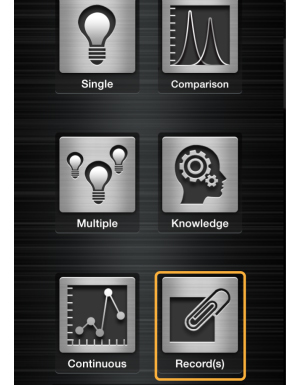 ◆ Tap “Measure" to start testing. 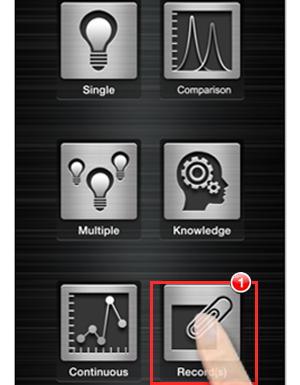 ◆ Tap “Measure” button to take measurement. 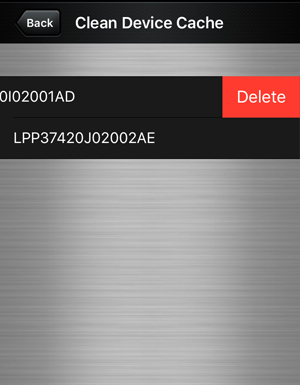 ◆ You can slide your finger or tap the edit button to delete unwanted data. 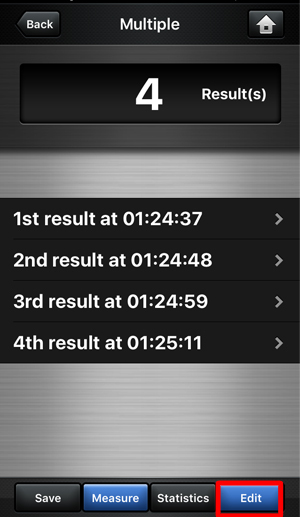 ◆ You can tap “Statistics” button to get detail information of the result. 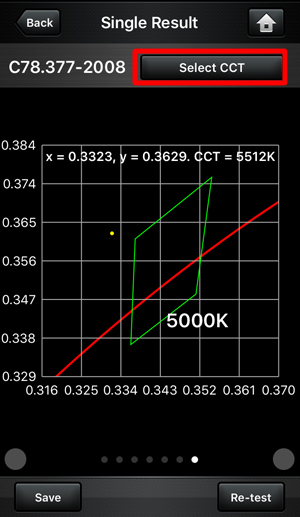 ◆ You can pinch/ spread to zoom in/ zoom out. ◆ Check the test items you want. 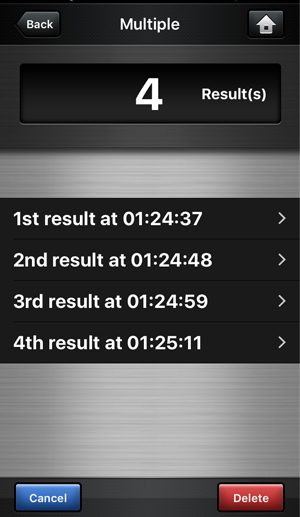 ◆ You can drag the bar to check the measurement data for every point. 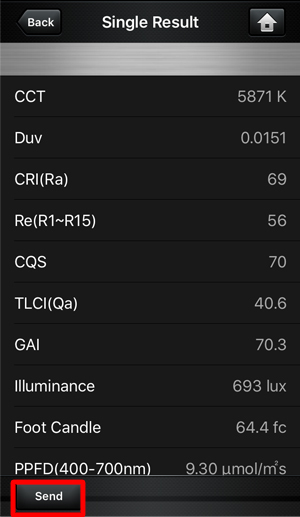 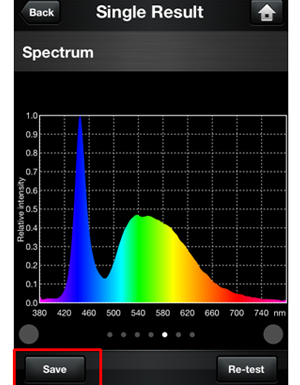 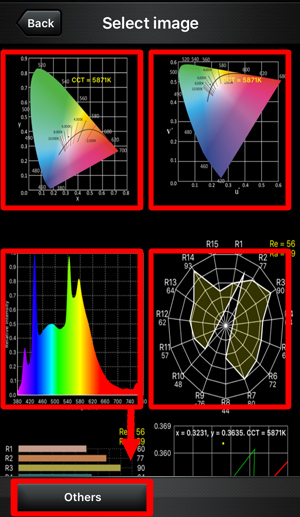 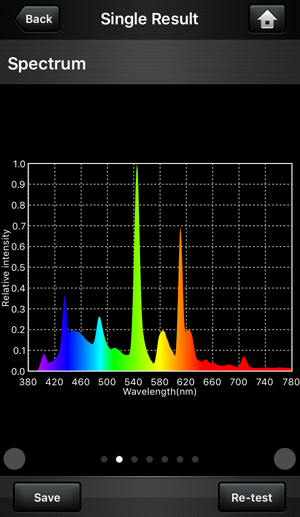 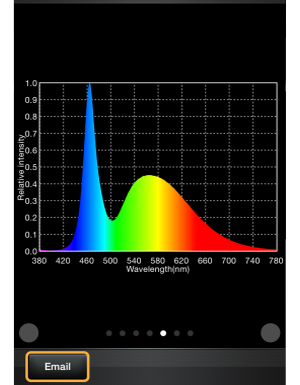 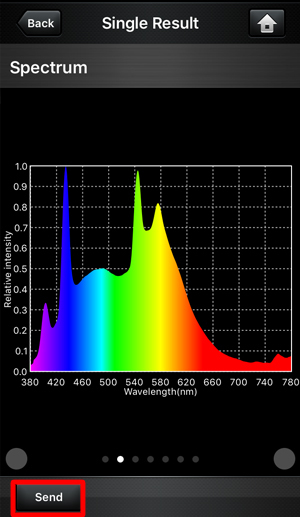 ◆ Users can switch the normalized spectrum and unnormalized spectrum, drag the slider to compare the intensity in each wavelength. 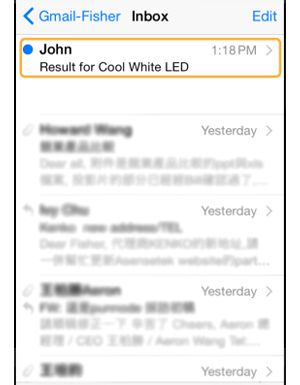 ◆ Users can tap “Send” button to send the result of compare by E-mail. 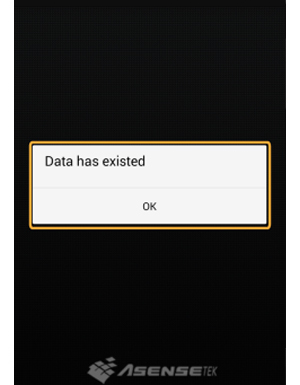 ◆ You can save data in each test mode. 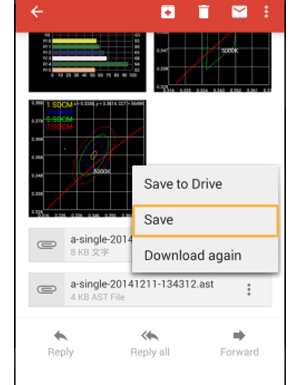 Just tap the "Save" button in result page to enter the save data page. 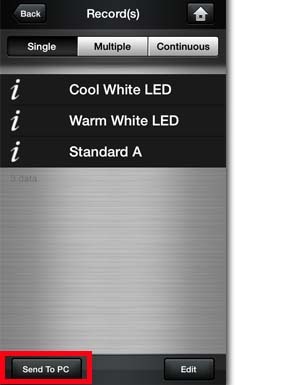 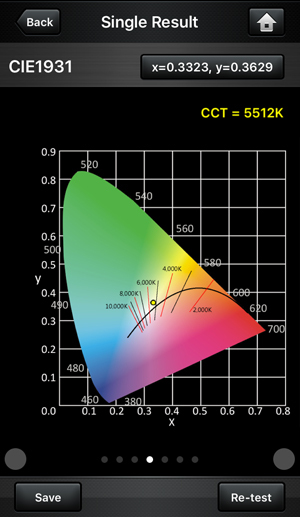 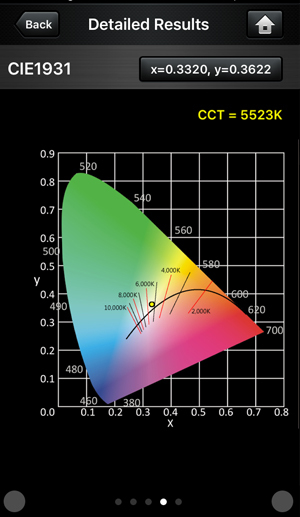 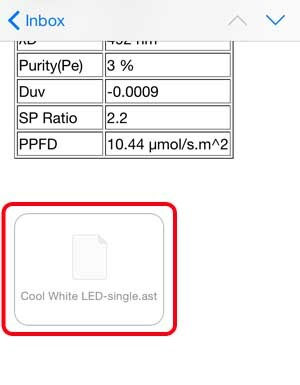 ① Add Product Picture: Take or choose the picture of the tested luminaire. 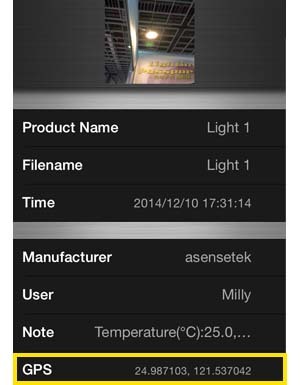 ② Product Name: Enter the name of luminaire. ③ Filename: You can enter the file name or use the default value which is the same as product name. 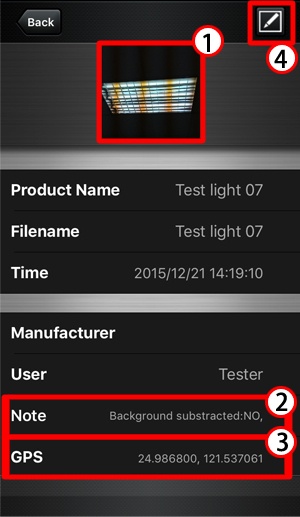 ④ Manufacturer: Add/choose manufacturer name. 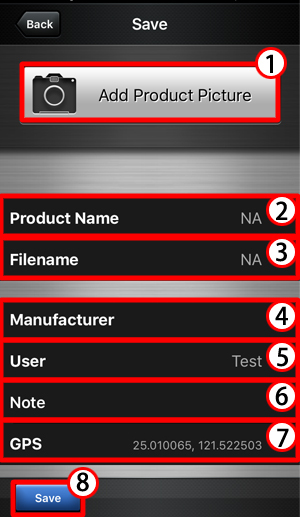 ⑤ User: Add/ select user name. 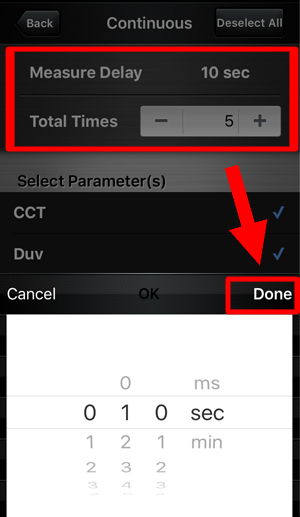 ⑦ GPS：Once you turn on the function of GPS in the setting page, it will automatically record the longitude and latitude of your location. 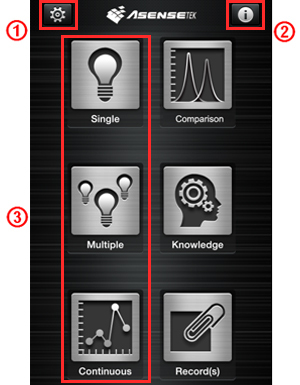 ⑧ Save your measurement data. 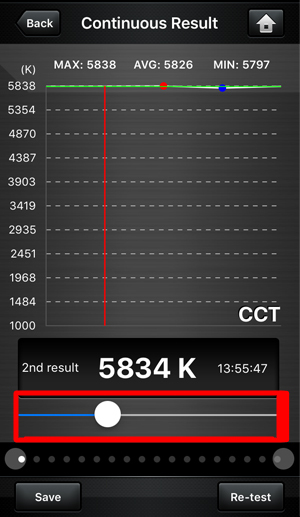 ◆ Pop-out red number means the number of new record. 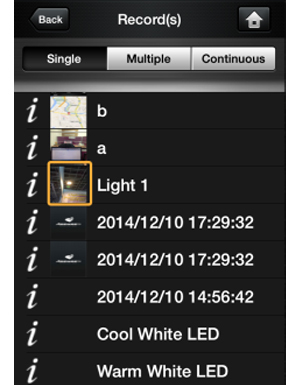 ◆ Tap the “record photo” or “i” to open the note of record. 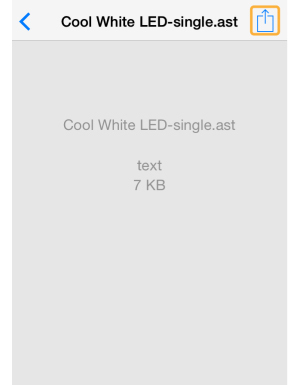 ① Tap the photo to view the full size. 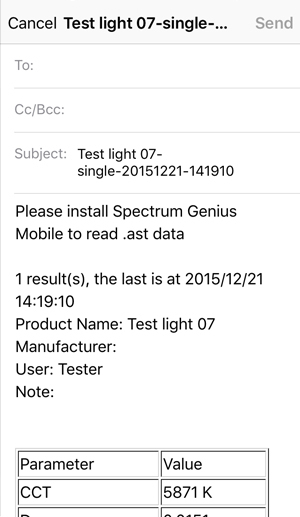 ② Tap “Note” to view your note of the measurement data. 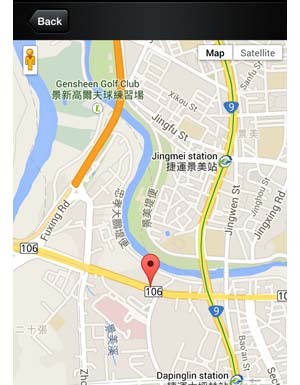 ③ Tap “GPS” to show the location in Google map. 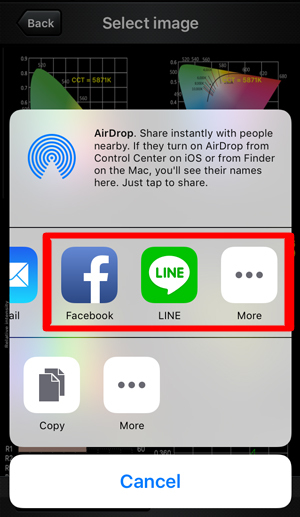 ③ Tap to enter the edit page. 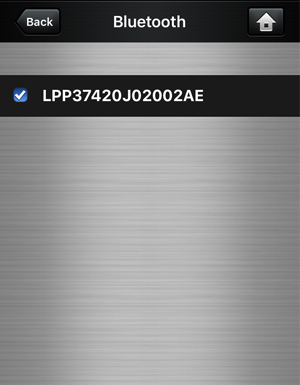 ◆ Tap record name to view the measurement information. 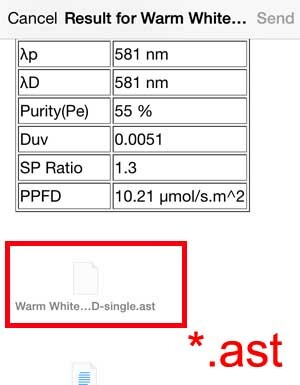 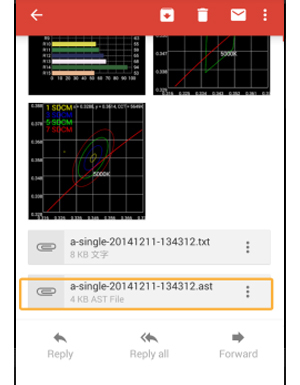 ◆ In the Email, you will see a special attachment ".ast"; with this attachment, recipient can import your measurement data to their SGM record folder. 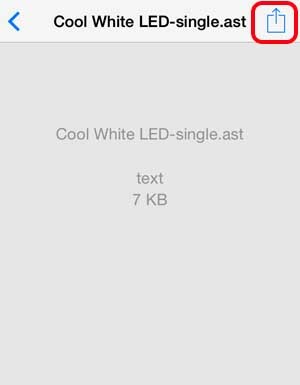 ◆ When recipient get the email, he can tap the attachment ".ast" file. 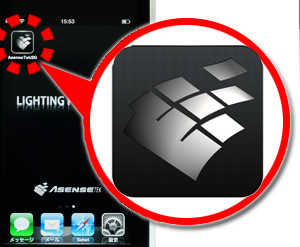 ◆ Tap the upper right icon to open it. 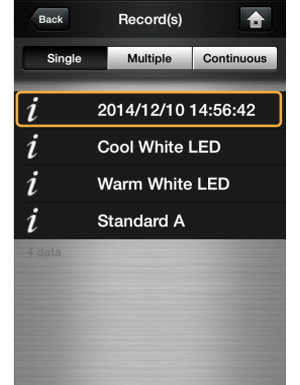 ◆ Select the corresponding App to import the data. 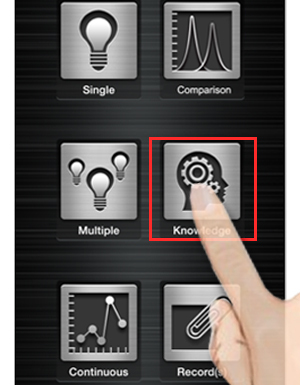 ◆ More related knowledge will be added. 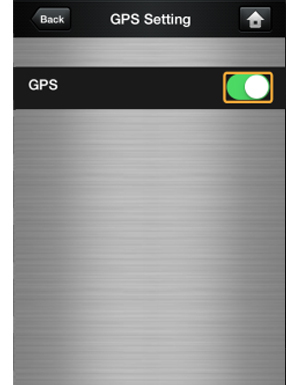 (1) First, please turn on GPS of your smart device. 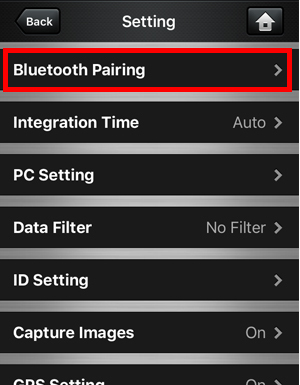 (2) This function only supports the smart device with GPS function. 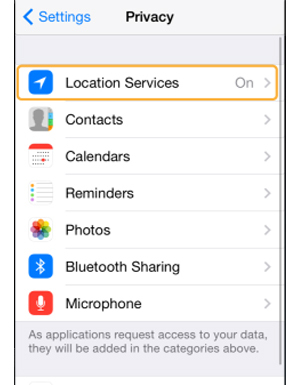 (3) For iPod Touch, it must be with Wi-Fi connection to start GPS orientation service. 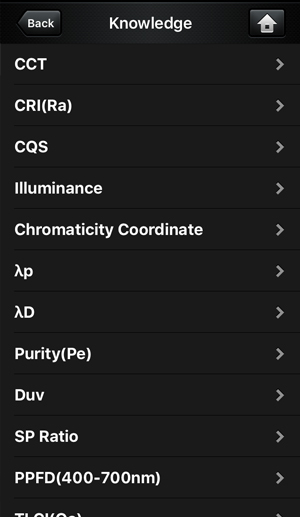 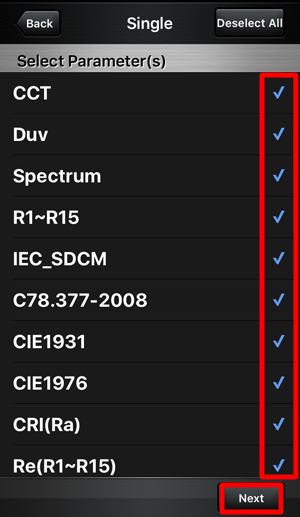 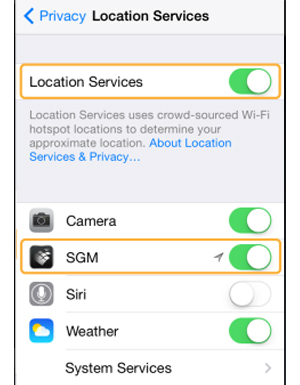 Tap "Settings", then go "Privacy", and turn on "Location services"; don’t forget to set Spectrum Genius Mobile become "Always". 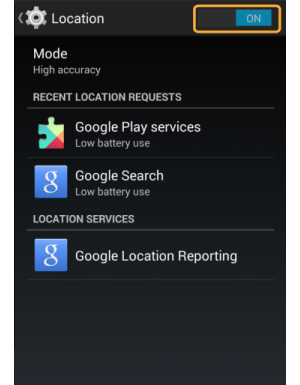 Tap "Settings", then go "Location", and turn on "Location". 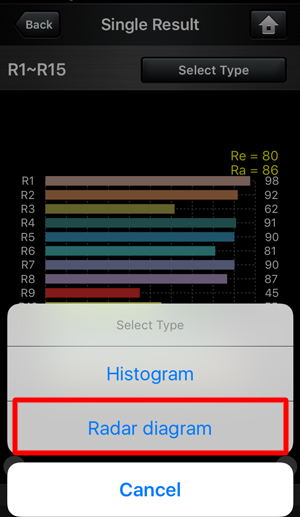 When GPS function has turned on, App will automatically record the GPS coordinates of the measurement location, user also can view the map by this coordinates. 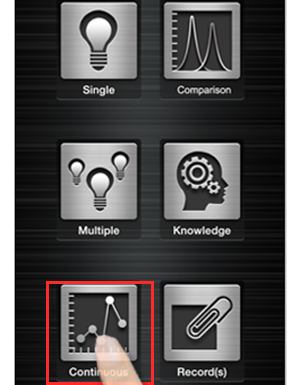 Steps: Tap the product picture of the measurement data, then tap the GPS coordinates to view the map location. 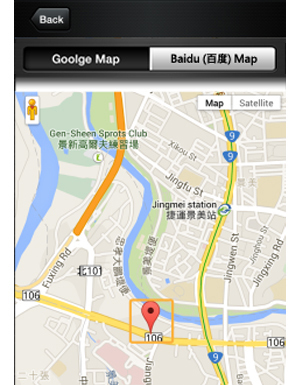 For China user, please select "Baidu(百度) Map" for viewing the GPS Map. 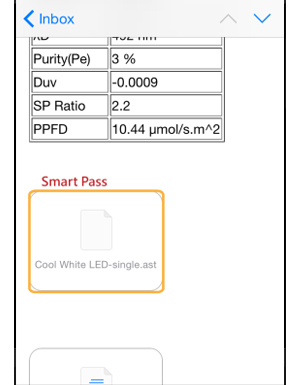 Share the measurement data to partners by “Smart Pass". 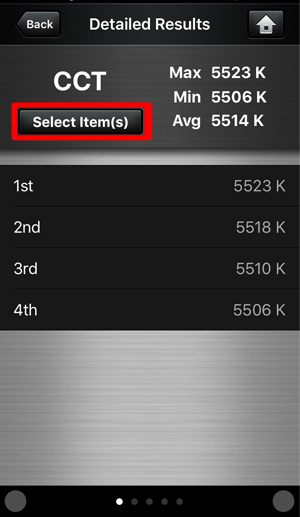 (1) Select the Data Report: Tap "Record (s)" button and select the measurement report. 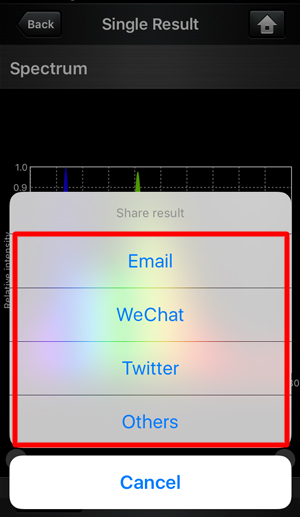 (2) Sent to partner: Tap “Email" button below, app will automatically help you to export the measurement data into “Smart Pass" (.ast) attachment file, then tap “Send" button to share your measurement data. 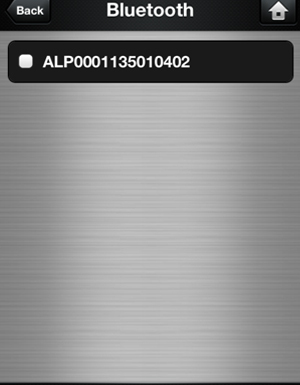 Receive partner’s sharing “Smart Pass" (.ast) file. 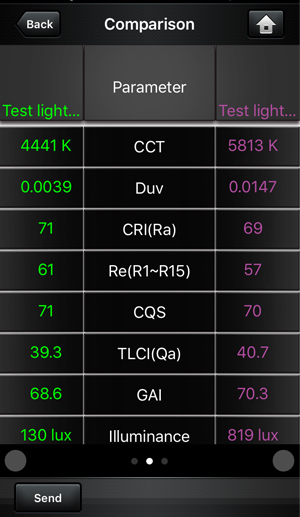 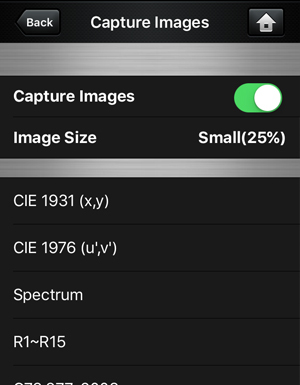 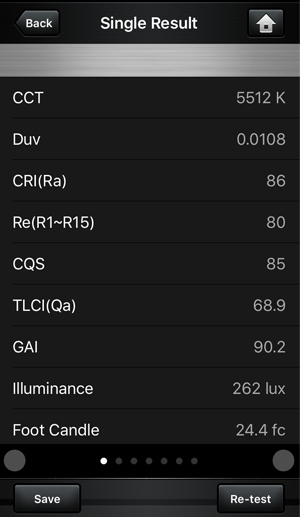 ※ Even if you don’t have “lighting Passport", also be able to download “Spectrum Genius Mobile" APP, import and viewing the measurement data. 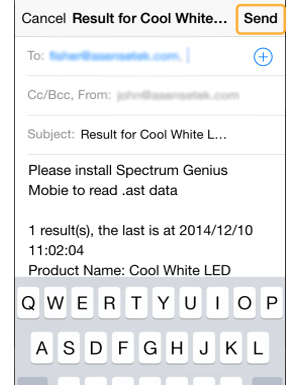 (1) Read the Email by your smart devices, then open (tap) the “Smart Pass" (.ast) attachment file. 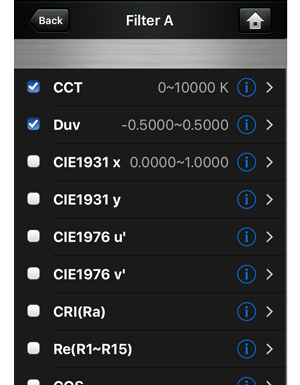 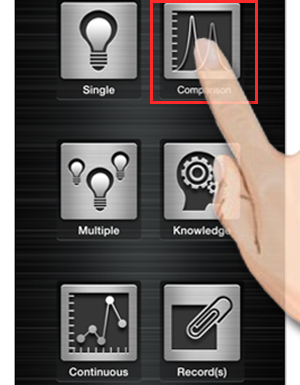 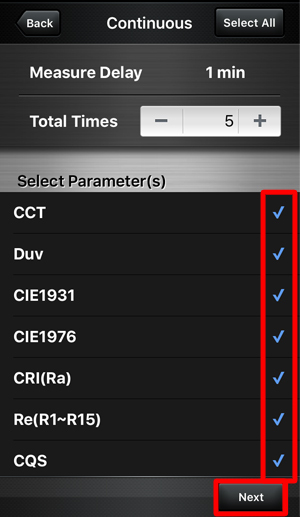 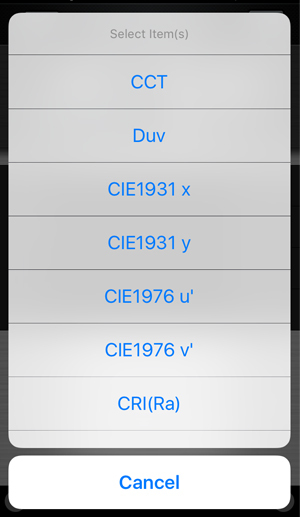 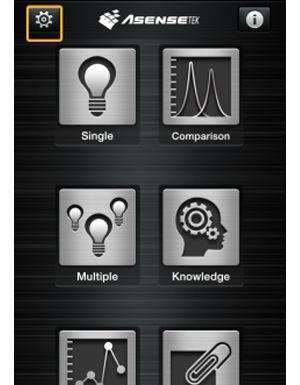 (2) Tap the button on the upper right corner, then select the corresponding App to import the measurement data. 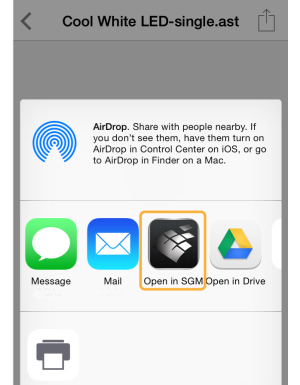 (1) Read the Email by your smart devices, then open (tap) the “Smart Pass" (.ast) attachment file and click “Save". 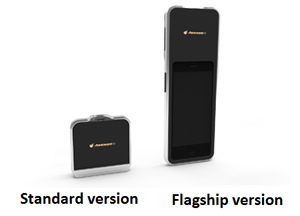 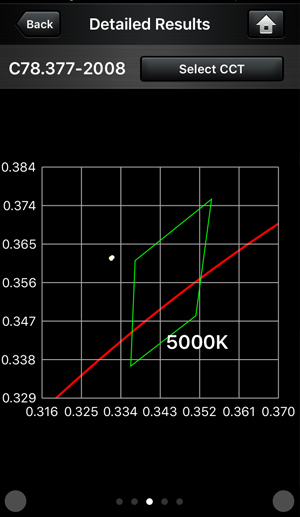 (2) The Android system will automatically import the measurement data to the corresponding App.